Real life. Real learning. Real fun. This post contains affiliate links for your convenience. By clicking on these links I may earn a commission at no additional cost to you. It may be silly, but my reasoning with liking Valentine’s Day really has nothing to do with love. I just like it because when winter is so dark & dreary, I get to pull out activities with my favorite colors: pink and red. They brighten up the gray days and who can resist learning with cute little hearts? 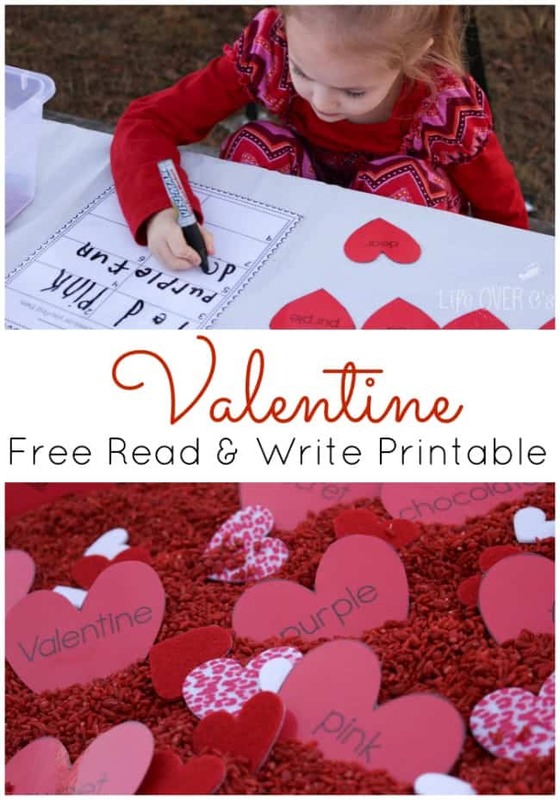 This free Valentine printable read & write activity is no exception. Plus, I love how one printable can be used in so many ways! 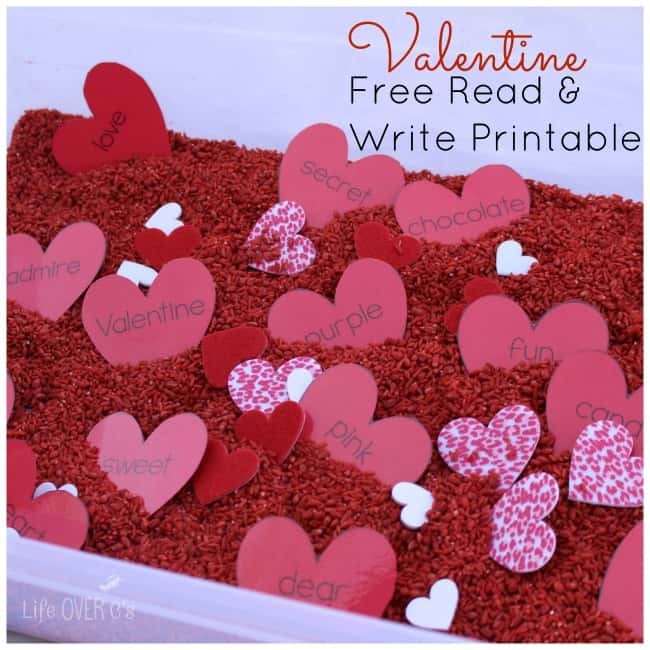 One of our favorite ways to learn is by using sensory bins, so I was very happy to pair up this free Valentine printable with a bright red sensory bin. I actually re-used the rice from our peppermint sensory bin, but most of the scent has worn off, so it wasn’t oddly Christmasy, which was a good thing. I dye my rice using this technique and it always comes out super bright! 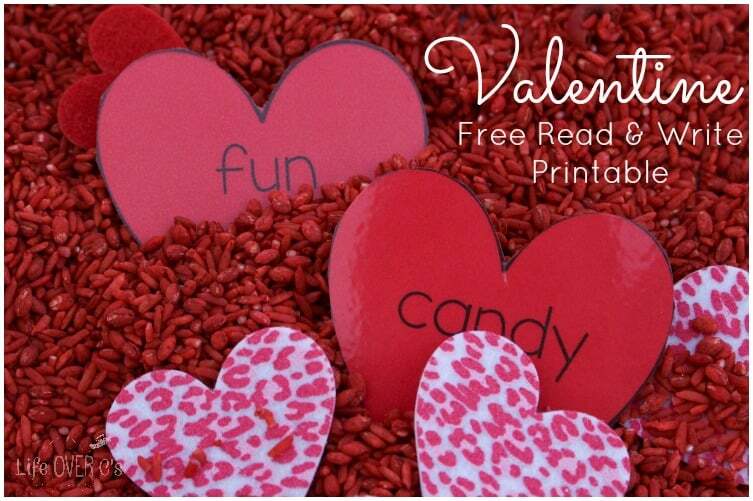 To get the word hearts ready just print on card stock with the color of your choice and laminate for durability. I always laminate! It costs a little bit more and it takes a few more minutes, but I like giving my kids things that feel professional and I like knowing that we can use the activity more than once, so I’m not wasting my ink to print things. As a read and write activity, you can select some (or use them all) words and put them into a sensory bin with the rice and hearts. Then, use the included recording sheet (which I also laminate) to write the words that are found. 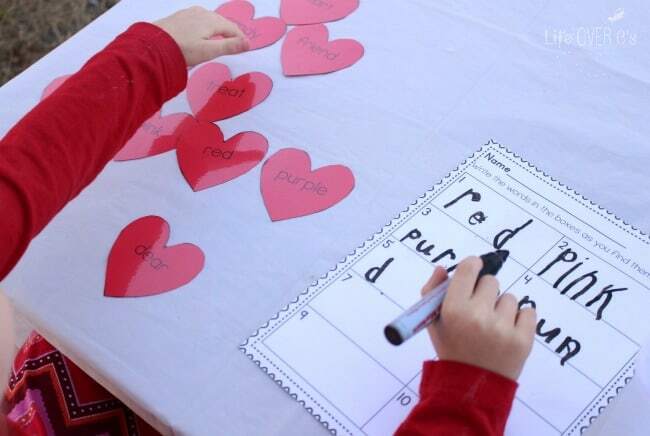 You can also use these hearts as a traditional write-the-room activity by displaying the words at random places around the room and having your child find the hearts and then write the words. Print two copies and use them as a matching game. Put the words in alphabetical order. Count syllables in the words and sort them according to amount. 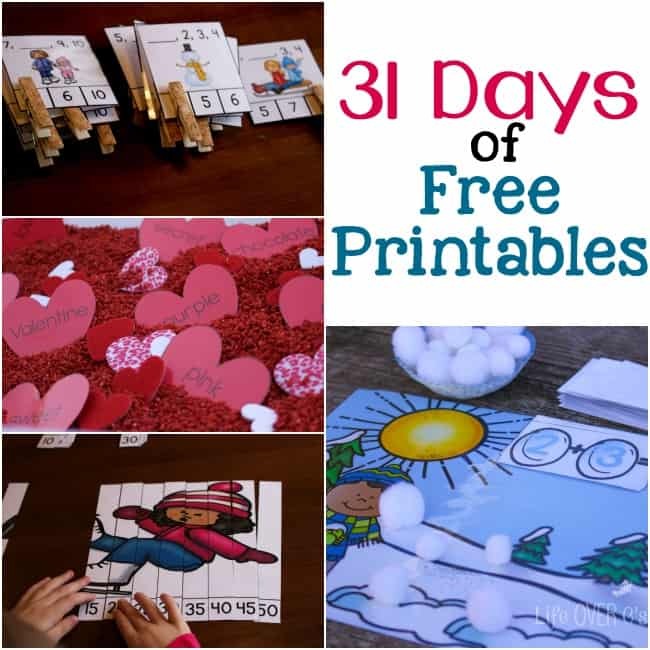 Check out the other great activities in the 31 Days of Free Printables series! 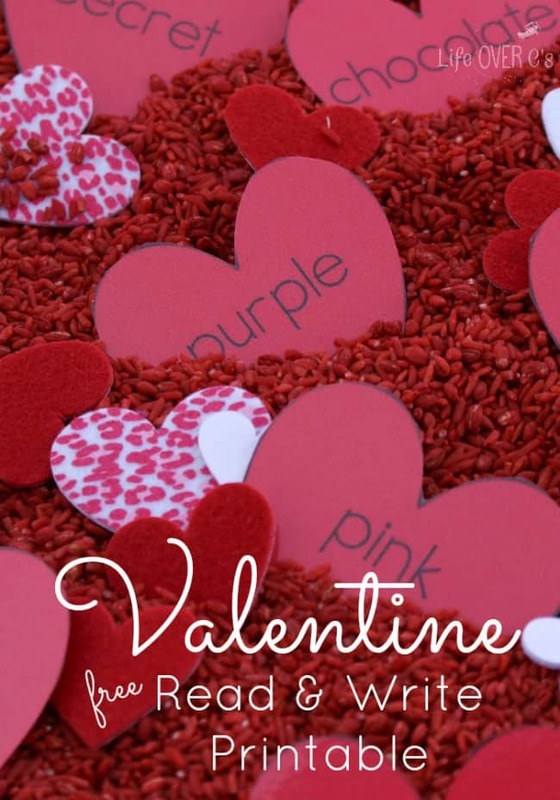 « Fanciful Pink Princess Slime for Valentine’s! Valentine’s Day is a nice welcome after weeks of cold and grayness the winter brings. My kids love sensory bins. Thanks for sharing at Made for Kids!